This dessert really couldn’t be any easier. Panna cotta takes very little effort but offers more than a satisfying return. This is especially true if you’re looking for a delicious dessert that isn't overly rich. There are no egg yolks, butter or heavy cream involved. If you love creamy custards and crème brulee, this is their lightweight cousin. The basic premise to panna cotta is to heat the milk or cream with the sugar to dissolve it thoroughly. It’s typically not very sweet and most often served in a plain vanilla but can also be flavored in a number of ways. Liquefied gelatin is added to set it and then it’s chilled. It can be served plain or with fruit or a sauce. 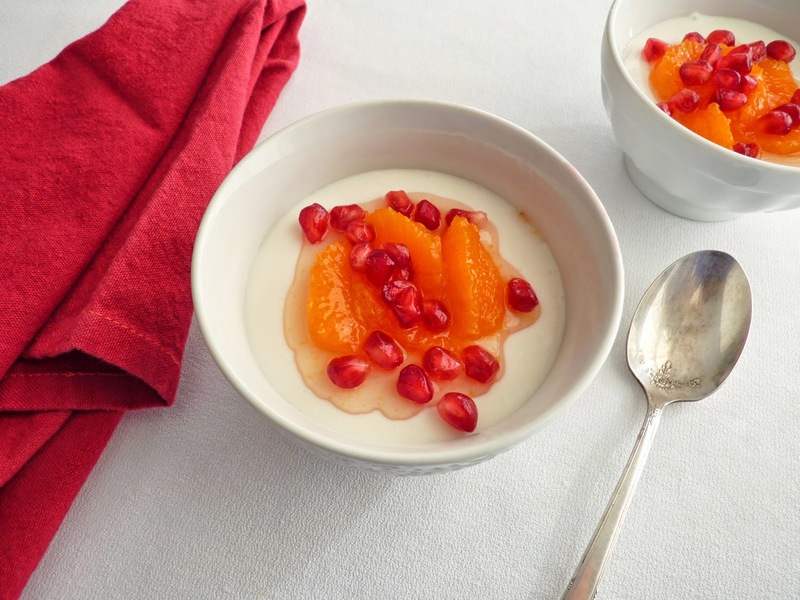 This panna cotta is made primarily with plain yogurt for a slight tang. The same method is used for the base and then the yogurt and flavoring are whisked in at the end. Super easy and care free. 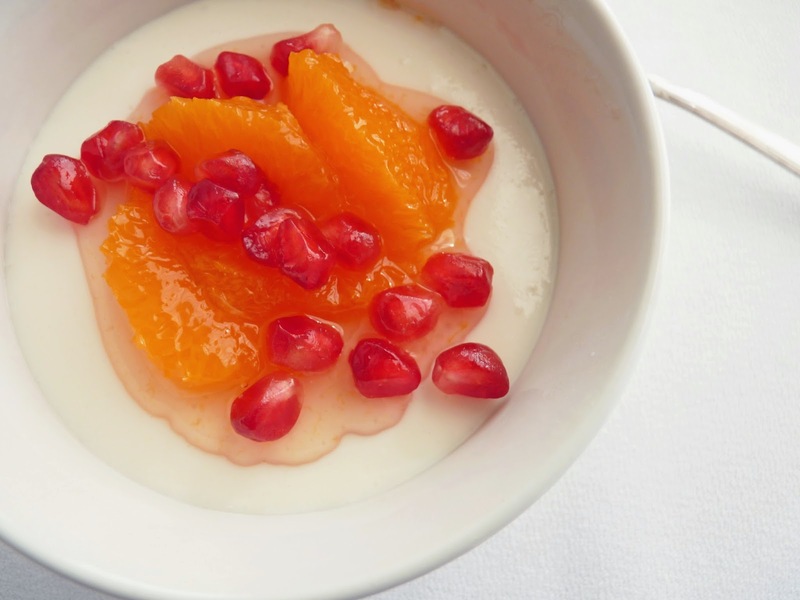 For color and an extra element of tartness, I’ve garnished this dessert with tangerine segments and pomegranate seeds. It makes a colorful and festive presentation on the table as the rain clouds roll in. - Substitute 1/2 vanilla bean for a richer flavor. Split, seed and add to milk as it simmers. Steep for about 20 minutes then remove the pod. - To bloom gelatin, always sprinkle it slowly into cold water rather then pouring cold water directly on the powder, which makes it clump. I use a small pyrex cup for this. - I used Greek yogurt but any plain variety will do. - Adjust the sugar, lemon juice, vanilla and salt to your own taste. I kept the sugar on the low end because the fruit is moistened with a simple syrup. - Salt is very important for enhancing the flavor of desserts made with dairy products. We’re not looking for a salty taste, just a brightened and heightened flavor. Keep adding a few grains at a time until the flavor pops. You’ll know when you get there. 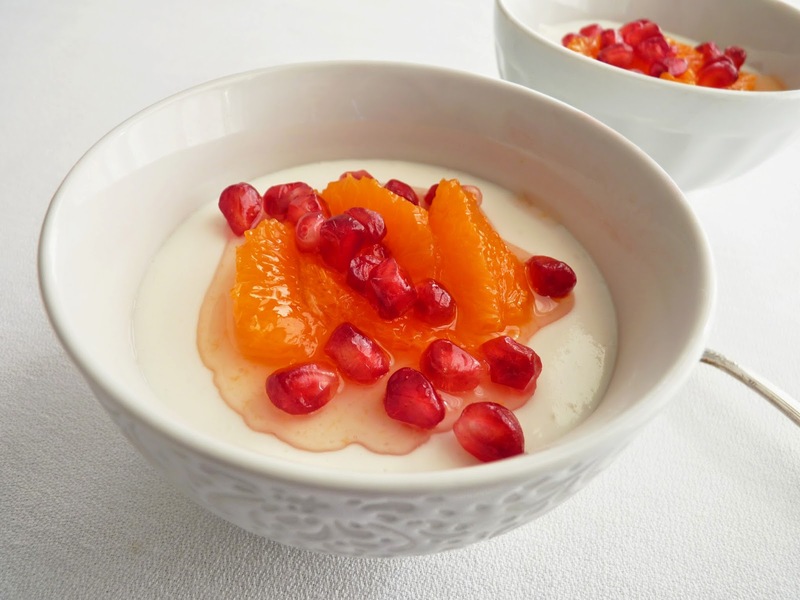 - The gelatin in this panna cotta is kept at a minimum, just enough to give it a little body but not enough to interfere with the texture of the yogurt. - Some people liquefy gelatin in a microwave but I find it's just too easy to overheat and ruin it. It can't be boiled or it loses its thickening properties. - If you find yourself in the mood for a sublime custard, try Vanilla Pudding. For the panna cotta, place the cold water in a small heatproof dish. Bloom the gelatin by sprinkling it slowly over the cold water. Do not stir. Let it sit for 5 minutes until the gelatin fully absorbs the water. Place the milk, sugar and a pinch of salt in a saucepan. Bring it to a slow simmer and heat until the sugar is fully dissolved. Take off the heat. Liquefy the gelatin by placing the bottom of the dish in a pan with about an inch of low-simmering water. The gelatin will melt in a minute or so. Add the liquefied gelatin to the milk mixture and blend thoroughly. Whisk in the yogurt, lemon juice and vanilla. Taste and adjust for salt. Pour into six ramekins or cups and chill until set, about 2 hours. For the fruit, place 1/3 cup water and 1/3 cup sugar in a saucepan and bring to a boil until the sugar is fully dissolved. Remove from the heat and whisk in the lemon juice. Using a very sharp knife, slice off both ends of the tangerines or oranges. Then slice off the peel and white pith, following the contour of the fruit to maintain its shape. Cut on either side of each segment to extract the fruit. Do this over a bowl to catch the juices. 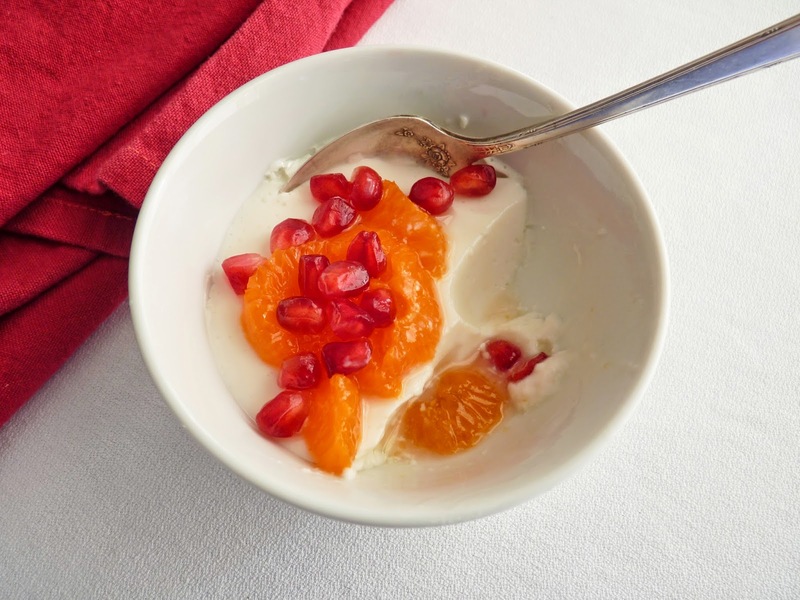 When ready to serve, combine the tangerine or orange segments and pomegranate seeds with some or all of the sugar lemon syrup. Top each panna cotta with spoonfuls of fruit. 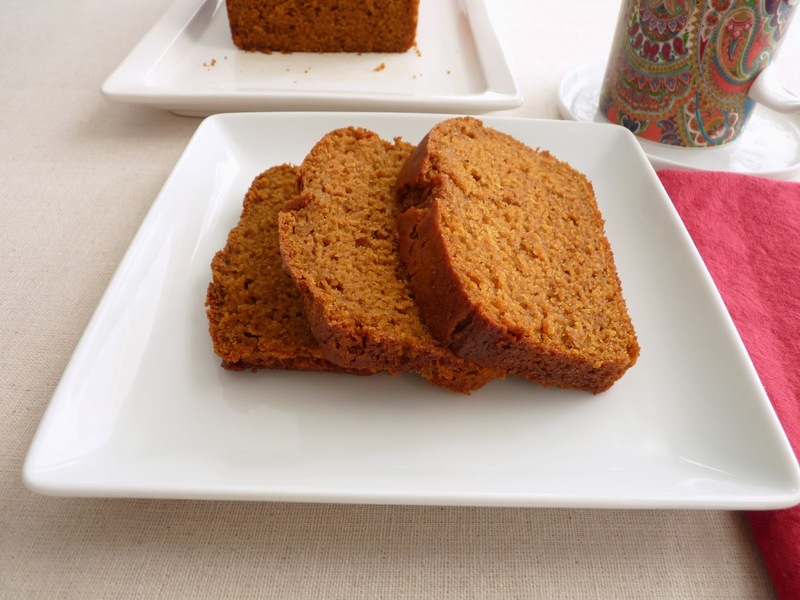 This is the time of year when loaf cakes and tea breads seem so perfect. They’re handy to serve for brunch, afternoon guests or meetings or to give as gifts of appreciation to friends, family and those who serve us well throughout the year. 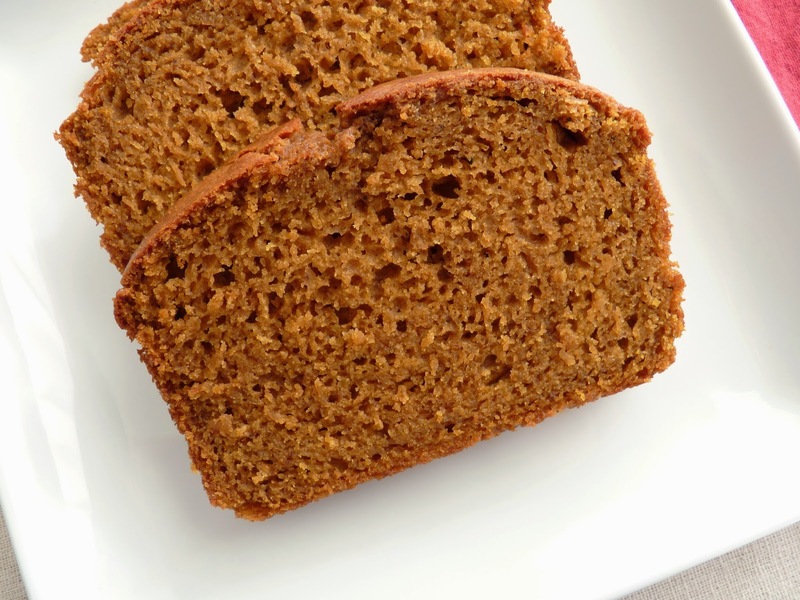 I’m keeping it very basic here with this Pumpkin Bread. It’s a simple mix with lots of spice, a snip of molasses to deepen the flavor and some buttermilk to tenderize the texture. It’s a soft cake with an open crumb, a very good version of this seasonal staple. Although I left it unembellished, it’s wonderful to add a handful of toasted nuts or dried cranberries, raisins, chocolate chips or a couple of tablespoons of finely diced crystallized ginger to the batter. Or top with an orange glaze for a more formal presentation. Here’s to the spirit and irresistible aromas of the holiday pastry season! - This recipe can be easily doubled. Use one 15 oz can of pumpkin. - Spices make the world go 'round and this is a good time of the year to inventory your spice collection. Stock up or refresh your supply. I recommend buying at your local bulk grocery store. I love Vietnamese Cinnamon. I also use a lot of allspice because I love the way it bolsters everything else. Whole nutmeg is very inexpensive as is a nutmeg grater. - More delicious loaf cakes for this time of year: a festive Walnut Brandy Cake, a rustic Honey Spice Cake or the beautifully rich Chocolate Date Nut Cake. Preheat the oven to 350 degrees F. Lightly grease an 8 1/2" x 4 1/12" loaf pan and line with a piece of parchment paper large enough to form an overhang on both sides along the length of the pan. Sift the flour, baking powder, baking soda, salt and spices. Set aside. Whisk the oil, both sugars and eggs until thoroughly combined. Blend in the pumpkin, molasses and vanilla. Add a third of the flour mixture alternately with half the buttermilk, beginning and ending with the flour and mixing just until blended. Pour the batter into the prepared the pan. Bake until a toothpick inserted into the center comes out clean, about 45 - 50 minutes. Cool on a wire rack for 20 minutes. Run a thin knife around the edge of the pan to loosen and carefully remove from the pan using the parchment overhang to assist. Remove the parchment and cool completely. I’m finally getting into the swing of October and the seasonal enjoyment of pumpkin. It’s hard to believe it’s that time of the year but here we are. The chill is in the air and the leaves are swirling at our feet. I love the light at this time, bright and overcast mingling together, the fog horn bellowing the incoming rush of morning dew. I do really love pumpkin desserts and pastries so this preparation comes easily and with pleasure. 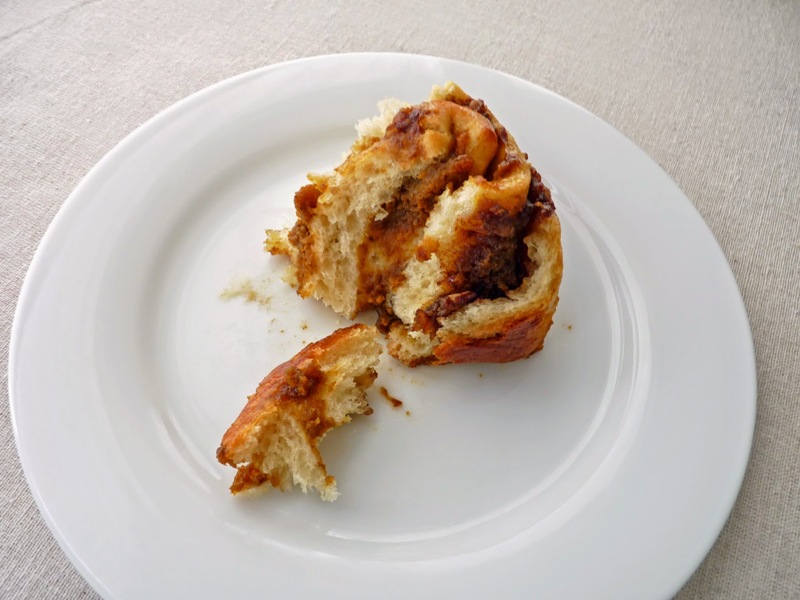 I’ve been wanting to get my hands back to working with yeast so I’ve made some basic cinnamon rolls with an added layer of pumpkin that’s been sweetened and spiced. It’s just enough to ease into the pumpkin season and add a note of fall to your brunch table. It won’t be long before we’re assembling our favorite pumpkin pies, swooning with glee at the bounty of fall. - If you're leery of working with yeast, this is a pretty simple formulation and one that isn't likely to cause any panic. The simple and most important rule to follow is to dissolve your yeast in liquid that is 110 - 115 degrees F. It should feel very warm, not hot. I usually just let my tap water run to its hottest temperature, measure out what I need and place a thermometer in the measuring cup. I let it cool just a bit and when it reads 110 - 115 degrees, I whisk in the yeast and then a pinch of sugar. (Yeast feeds on sugar but yeast activity may decrease if it comes into direct contact with sugar or salt, so dissolve the yeast in water first, then add the sugar.) I then set it aside to proof for about 10 minutes while I assemble all the other ingredients. By the time I'm set to work on the recipe, the yeast is foamy and ready to go. - If you're not sure whether the dough is ready after the first rise, just press your index finger about 1 1/2" into the dough. If the indentation stays, the dough has completed the first rise. 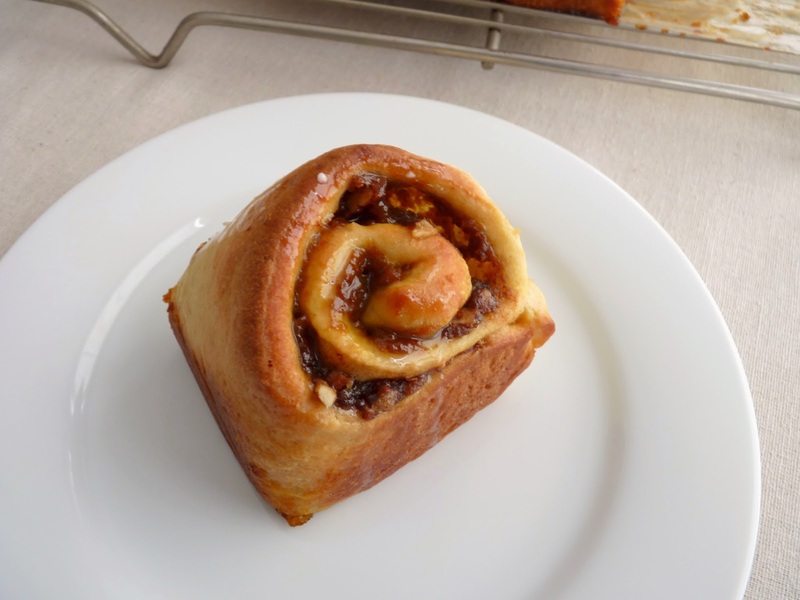 - To avoid adding any additional excess flour when shaping the dough, I like to roll it out on a silpat. No need for any dusting of flour. 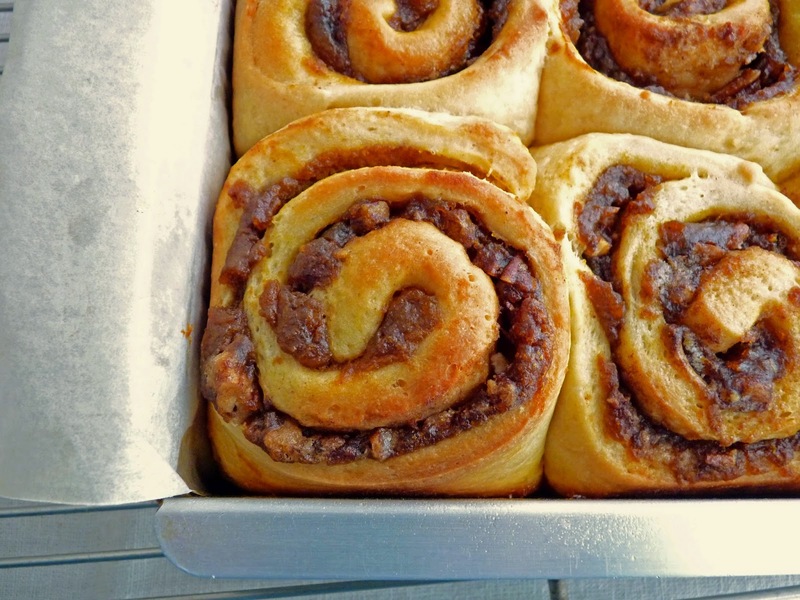 - If you're using a glass pyrex baking pan, check the rolls after about 20 - 25 minutes in the oven. Glass conducts heat more efficiently than metal. 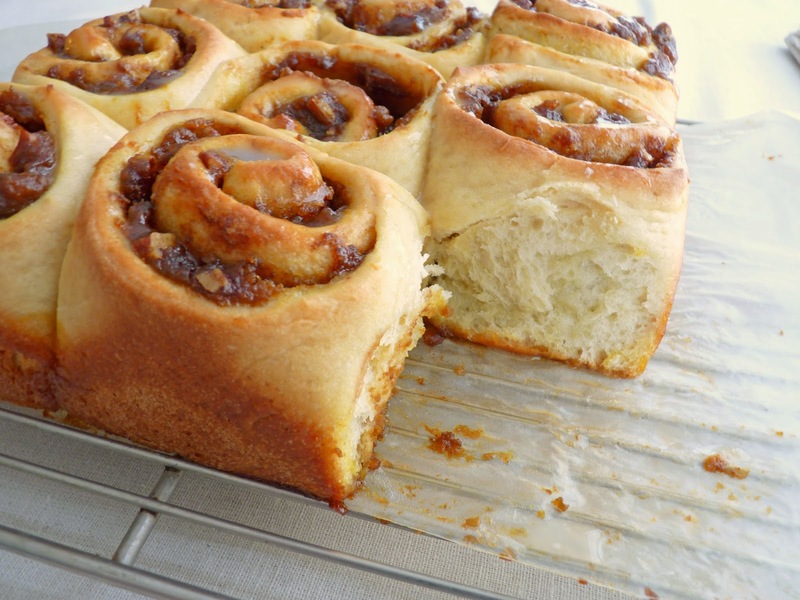 - I place the pan of rolls on a baking sheet before it goes into the oven to prevent the bottoms from getting too brown. For the yeast dough, place warm, not hot, water into a bowl and sprinkle the yeast over it. Whisk to combine and add a slight pinch of sugar. Whisk and set aside while you gather and prepare the other ingredients. Cut the butter into 1/2” pieces and place in a saucepan with the milk. Heat the milk and butter together just until the butter melts. Take off the heat and add the sugar, salt and vanilla. Combine with the yeast mixture and whisk in the eggs. Switch to a fork and stir in 2 3/4 cups of flour. If necessary, keep adding flour 1 tablespoon at a time until the dough is no longer sticky. Place the dough on a work surface and knead until soft and elastic. Grease a large bowl with oil and transfer the dough to the bowl. Toss the dough over once to coat the top of it with oil. Place a piece of plastic wrap across the top of the bowl and set in a warm place to double in size, about 1 hour. 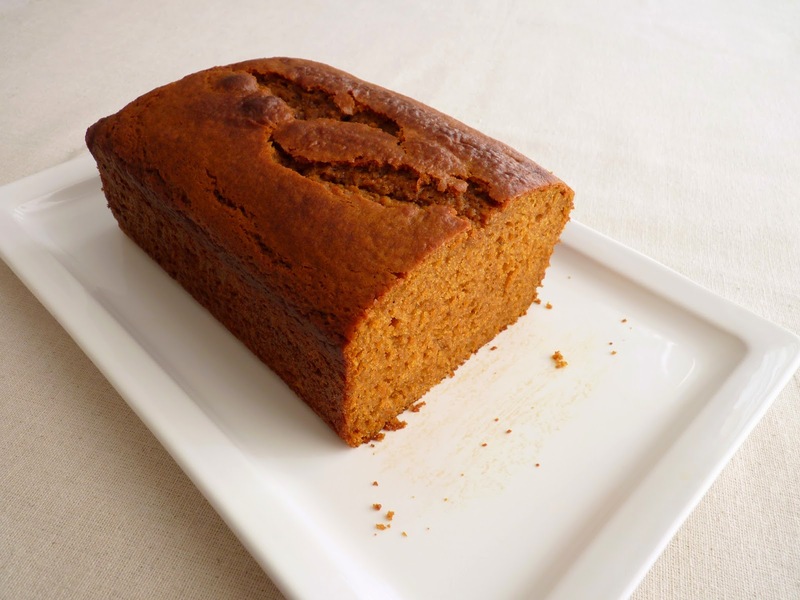 For the pumpkin filling, whisk together all ingredients until thoroughly blended. Chill until ready to assemble. Prepare the streusel by combining the brown sugar, pecans, cinnamon and orange zest. Cut the butter into small pieces and work it into the nut mixture with your fingers until it's moist and crumbly. Chill until ready to assemble. Lightly grease a 9” square baking pan and line with a piece of parchment paper large enough to form an overhang on two sides. Set aside. When the dough has completed its first rise, gently press on it to deflate it. Place on a work surface with a very light dusting of flour. Roll the dough out evenly to an 12” x 18" rectangle. Spread the pumpkin filling over the surface, leaving a 1 1/2” border along the top of the long side. Sprinkle the pecan filling evenly over the pumpkin. Starting with the long side nearest you, gently lift the dough and fold it over about 1”. Continue rolling up the pastry until you get to the end, doing your best to keep the sides of the roll even. Pinch and seal the dough. Using a sharp serrated knife, cut the roll into 9 pieces, each one about 2” wide. Carefully place the slices cut side up in the prepared pan 3 per row, leaving some space between for the rolls to expand. Set the pan aside in a warm spot to rise for an additional 45 minutes. When the oven is ready, place the pan of rolls on a baking sheet and bake until lightly browned, about 30 minutes. Set on a wire rack for 10 minutes. Gently lift the rolls out of the pan using the paper overhang to assist. Cool completely. For the glaze, sift the powdered sugar into a bowl and whisk in the milk, orange and lemon juice and a few grains of salt until smooth. Drizzle over the top of the cooled rolls. It feels like a good time to look to some comfort food. This pudding cake is quick and easy and definitely satisfies the urge for a warm and gooey dessert. It starts with a basic chocolate pudding cake recipe. 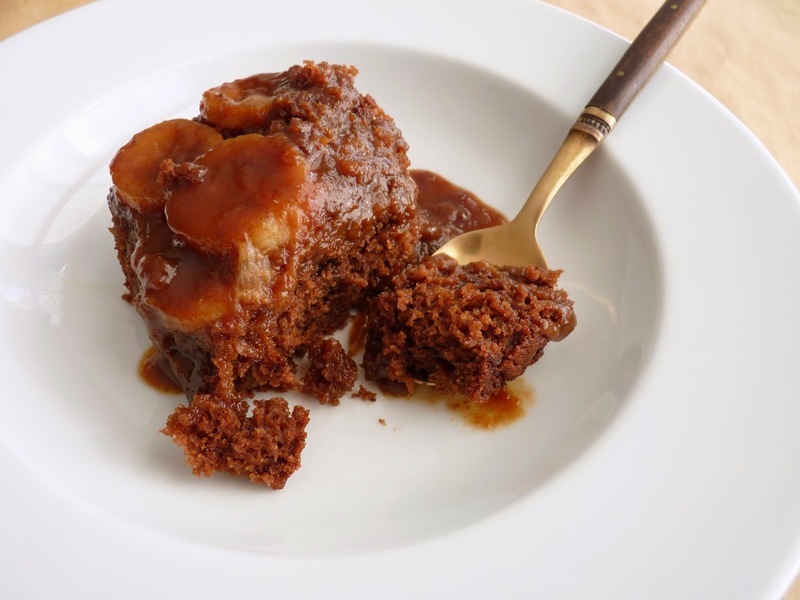 I add some banana slices to increase the comfort quotient and I also substitute a brown sugar caramel sauce rather the usual chocolate. It brings together some great flavors that harmonize naturally and completely. Simply slice a banana into the bottom of an 8” baking dish. Once you’ve measured and sifted the dry ingredients, melt the butter and whisk it with milk, an egg and vanilla. Add the dry ingredients and you have your cake batter, which gets spread over the sliced bananas. And then for the magic that is pudding cake, there’s another liquid layer that gets poured on top of the cake batter. In this case, I simmer water, some brown sugar, butter, molasses, a bit of cinnamon and some vanilla. 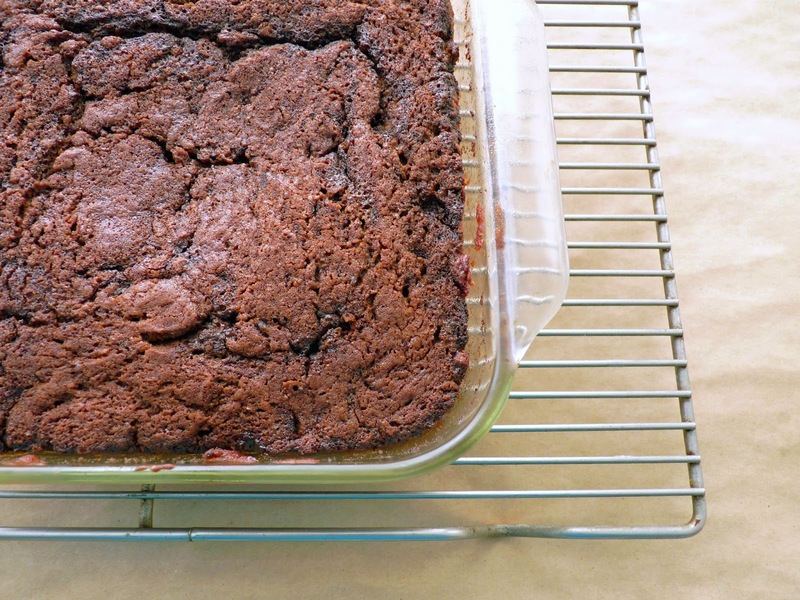 The cake bakes in just 25 – 28 minutes and comes out looking a bit like a brownie with bubbling sauce on the bottom. 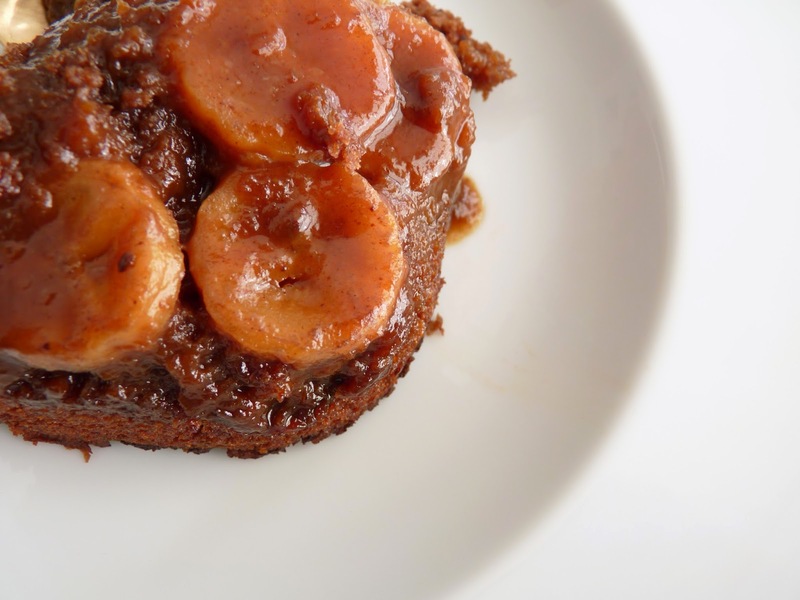 But the cake is super soft, tender and light and the bananas are nice and gooey. The dessert isn't overly rich or heavy but there is a note of luxury. It's best served warm, straight from the oven. A scoop of vanilla, coffee, caramel or whiskey ice cream would send it over the top. - The banana should be ripe but firm, not mushy. - I use natural cocoa powder, not dutched. - The cake is done when the edges appear set but the center is still very moist. A tester inserted into the center should have several moist crumbs attached. If you bake it much longer, there won't be much sauce. - The taste of chocolate in this cake is light. If you’d prefer a stronger flavor, fold in 1/2 cup (3 oz) chopped bittersweet chocolate or chocolate chips to the finished batter. - Toasted nuts might also be a good addition to the cake batter. Preheat oven to 350 degrees. Lightly grease an 8" square glass baking dish. Thinly slice the banana and distribute on the bottom of the pan. Set aside. Sift together the flour, granulated and brown sugars, cocoa powder, baking powder and salt. In another bowl, whisk together the egg, milk, melted butter and vanilla and combine thoroughly. Add the dry ingredients and mix just until well blended. Pour the batter into the prepared baking dish and over the sliced bananas. Gently spread the batter evenly to the edges. For the topping, place the water, brown sugar, butter, molasses and cinnamon in a saucepan, Bring to a boil for one minute, whisking to combine. Take off the heat and add the vanilla. Slowly and carefully pour over the cake batter. Do not stir or mix in the liquid in any way. The liquid should just sit on top of the cake batter as a separate layer. Bake the cake until the edges of the cake are set and a tester inserted into the center comes out with several moist crumbs attached, about 25 - 28 minutes. Serve warm. When life throws us a curveball, our human response is to take stock of where we are and take a fond and cherishing look at all the good fortune in our lives. A month ago I landed in an emergency room with pain and severe difficulty breathing. Five doctors, several tests, x-rays, scans and lots of blood work later, it looks like I caught a very nasty virus that infiltrated my lungs and the sac surrounding my heart. Confined to bed rest and a regimen of big doses of antibiotics and anti-inflammatory medicine, I really had the stuffing knocked out of me. But I began to get better, ever so slowly. The pain went away and my breathing came easier. I’m now thrilled to say I'm starting to feel human again. I’m able to walk for several city blocks without losing my breath. Although I still tire easily, I know it will be a few more weeks before I get my full stamina back. And what I feel profoundly is a tremendous THANK YOU to all the doctors and medical staff who assisted in my treatment. Each and every one of them have been inordinately kind, compassionate and perfectly professional. I also want to say to all my readers, please take good care of yourselves this winter. There are some terrible bugs out there. It can be so easy to forget how fortunate we are to enjoy everything life has to offer. 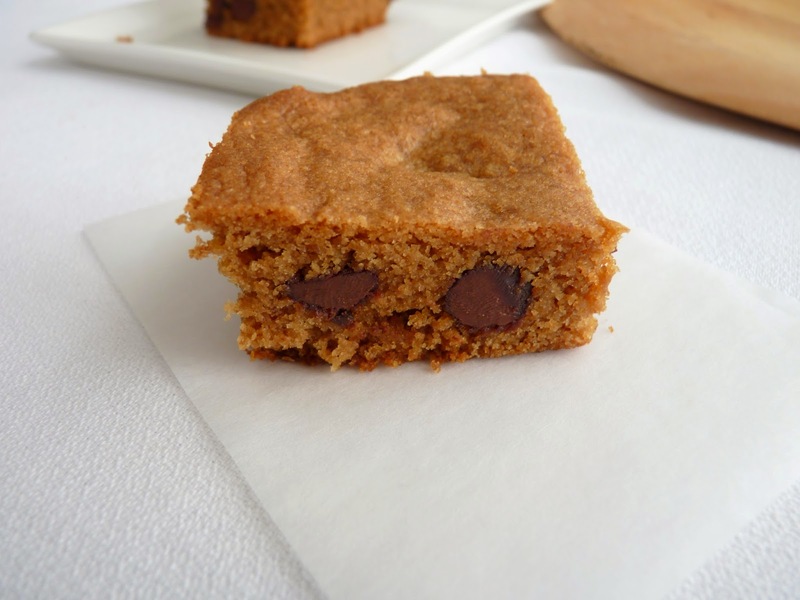 I hope to get back in the swing of working full speed in my kitchen soon, but for now I’m posting this very easy recipe for some simple Espresso Chocolate Chip Blondies. They are a delicious treat incorporating some basic ingredients without much effort. I hope you enjoy them. My deep appreciation to all my readers who sent me the loveliest emails and good wishes. I can’t tell you how much they really lifted my spirit. You are the BEST. And to my family and friends, I hope you know how much I love you. Here's to lots of cozy fall days full of wonderful aromas emanating from our kitchens! - You can substitute coarsely chopped 3 oz bittersweet or semisweet chocolate for the chocolate chips, if you prefer. - Add some toasted chopped nuts for more texture and flavor. 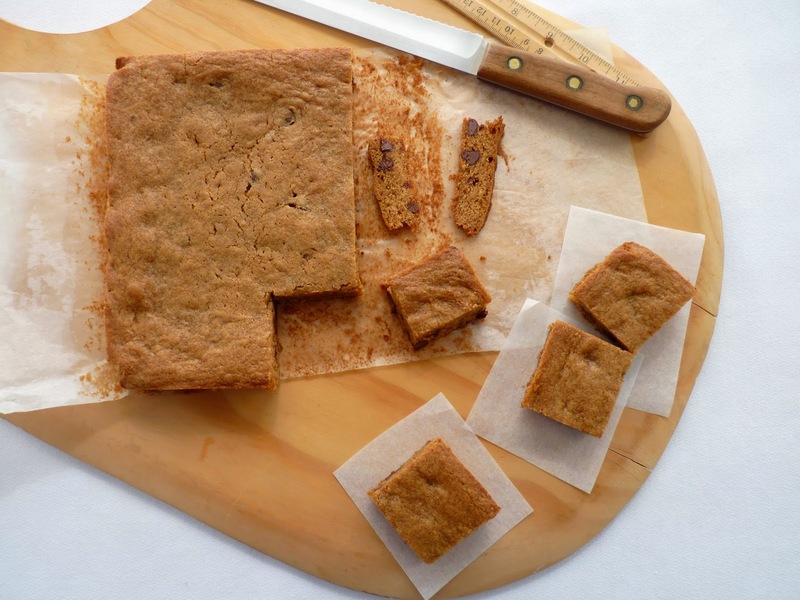 - Like any cake or bar cookie, once these are cut, the edges will begin to dry out. Cut what you need and store remaining uncut pastry in an airtight container to prolong freshness. Preheat oven to 350 degrees F. Lightly grease and line the bottom of an 8” square pan with parchment paper, leaving an overhang on two sides. Cream the butter and brown sugar until light and fluffy, about 2 -3 minutes. Scrape down the sides and the bottom of the bowl. Add the egg and mix until fully incorporated. Combine the vanilla, espresso powder and rum and add to the mix. Blend thoroughly. Add the dry ingredients and combine just until barely mixed and a few dry streaks remain. 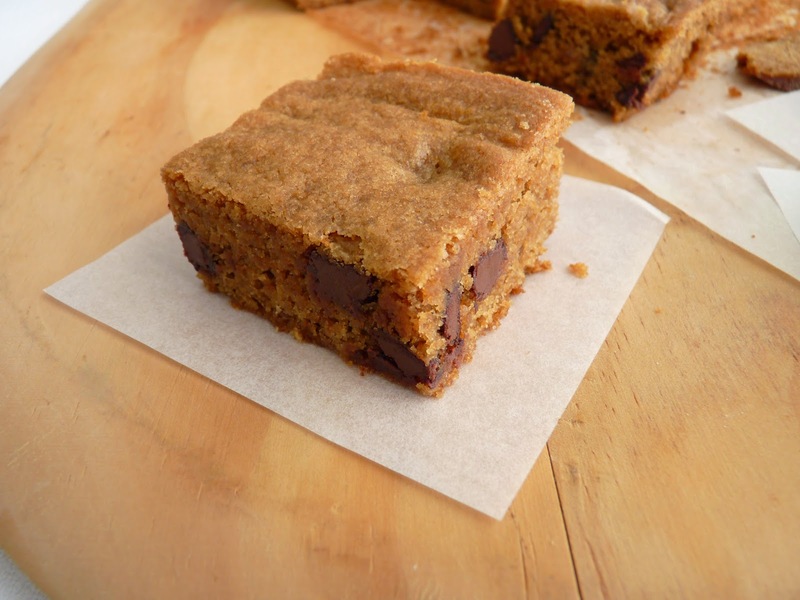 Use a rubber spatula to fold in the chocolate chips and finish mixing by hand. Scrape the batter into the prepared pan and spread into a smooth and even layer. Bake until a tester comes out clean, about 22 - 24 minutes. Cool completely on a wire rack. Run a small spatula or a thin knife around the edge of the pan and remove from the pan using the parchment overhang to assist. Gently peel off the parchment.